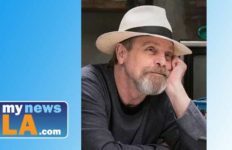 Nearly 40,000 retweets later, Katie LeBarron of Green Bay, Wisconsin, was still in shock how a throwaway line to “Star Wars” legend Mark Hamill could travel so far so fast. LeBarron, a 31-year-old medical records worker, suggested Thursday: “I think that @HamillHimself could tweet ‘bippity boppity boo’ and get retweeted thousands of times.” Then to her amazement, he did. Late Thursday, she told MyNewsLA.com she had forgotten the incantation (technically spelled “Bibbidi-Bobbidi-Boo”) was from “Cinderella” until someone tweeted about it. “It was the first thing that came to mind,” LeBarron said. And despite being the kind of person who debates tweeting to celebrities “because I don’t want to bother them,” she tweeted to @HamillHimself and went on with her day. Then: “All of a sudden my phone just started buzzing like crazy, which never happens. I unlocked it and saw the Twitter alerts” of her tweet being retweeted by Hamill and others. Twenty-four hours later, Hamill’s #TwitterTest had 39,000 retweets and 54,000 likes. “In 4 minutes, I think it’s safe to say that you won the Internet today,” one commenter said early on. How are friends and family reacting to her social-media fame? It’s not her first brush with celebrity, though. Later, she watched the TV show “Nikita” and saw a scene where Stanford was playing with a Boba Fett figure. If she could speak to Hamill in person, what would she tell him? “I’m not sure,” she replied. “I once said to my friend that I’m not sure I would ever be able to ask a celebrity for an autograph, I am that shy — and I would probably just freeze up.